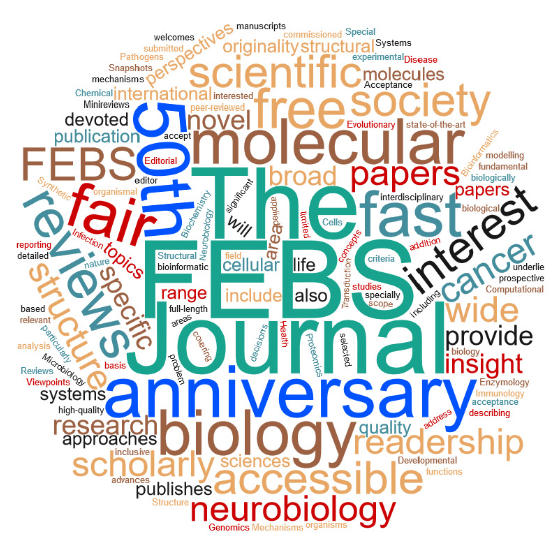 The FEBS Journal celebrated its 50th anniversary in 2017. The journal’s past, present and future are feted in the last issue of the year, with an editorial providing an historical perspective of the journal, a science communication competition, and special selection of highlights of recent papers. 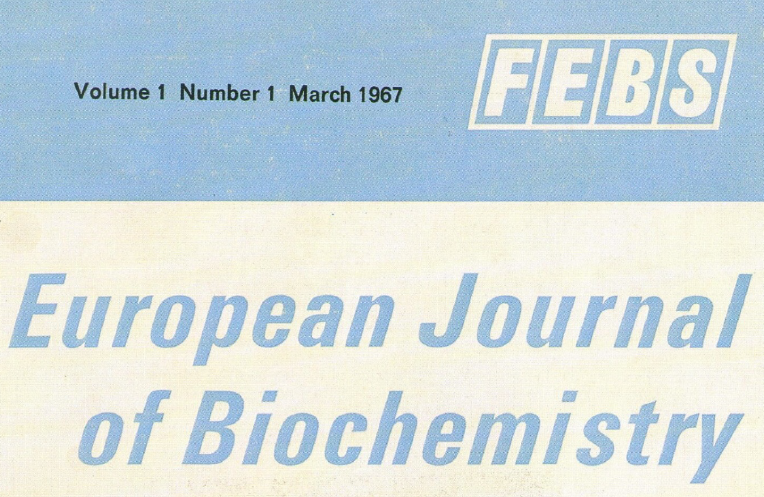 The first issue of what was then called the European Journal of Biochemistry appeared on 1 March 1967 (in 2005, the European Journal of Biochemistry was renamed The FEBS Journal). The journal has come far in the intervening 50 years, and this editorial looks back at some of the notable editorial and technological advances that have occurred since volume 1, issue 1. The Editor-in-Chief also provides a glimpse into the journal’s future, laying out new article types and features that will be developed in the next few years. To help celebrate this anniversary, The FEBS Journal’s community was invited to join a science communication competition aimed at describing a scientific concept or advance in the life sciences in written, video, cartoon or animation form. Three entries captured the spirit of the competition in terms of relevance, accuracy and appeal to a broad audience: congratulations to Antoinette Fong, for her video on the differences between subcutaneous and visceral fat; Diego Estrada-Rivadeneyra, for his poster on Sanger sequencing; and V Mitheera, for her video on exercise and endorphins. You can read more about the competition and view the winning entries here. To wrap up these anniversary celebrations, an accompanying selection of Research Highlights draws attention to some of the notable papers published within the journal’s pages in the past few years. The research papers and reviews highlighted here cover diverse topics, from A(utophagy) to Z(ebrafish).